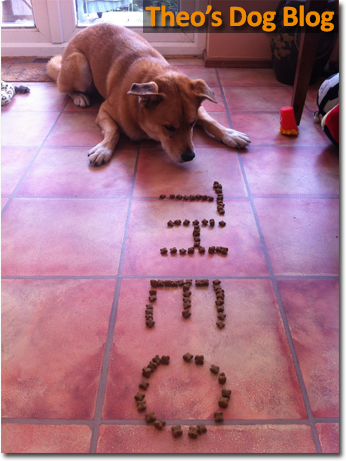 For Theo, nothing says I love you quite like food. Being a fairly independent chap, we’ve resorted to underhand tactics to aid his training (or that’s how he sees it). He is as good as gold when he’s hungry, and in this photo from the archives, we were practising the “leave it” command. The key to this game is not to just “let him have it”, but to pick them all up afterwards and give them to him as a separate action.